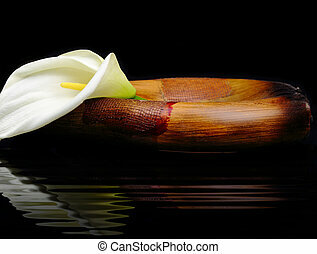 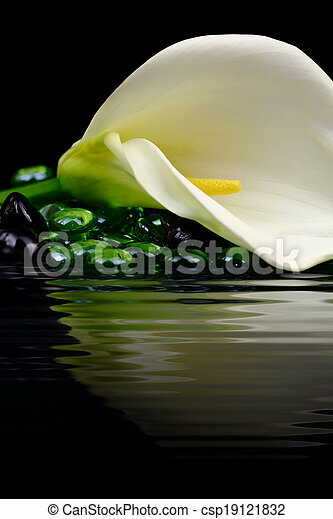 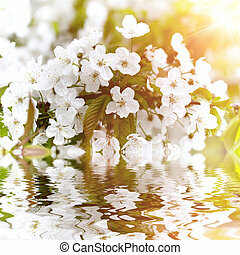 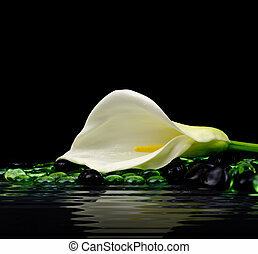 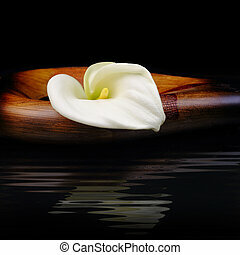 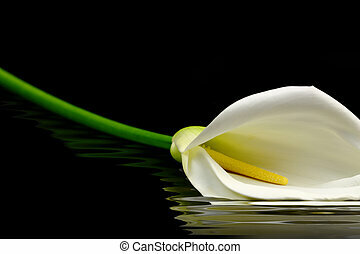 Beautiful white calla lily reflected in water. 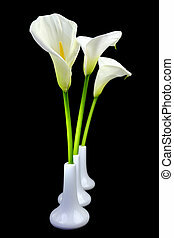 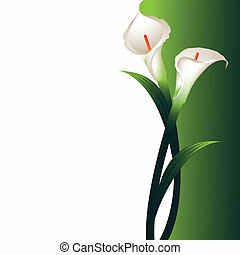 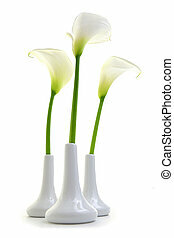 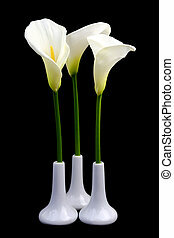 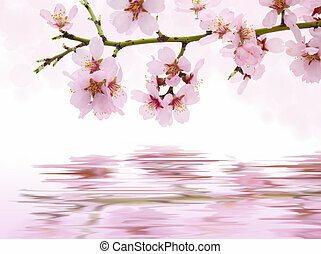 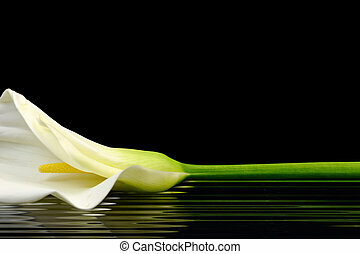 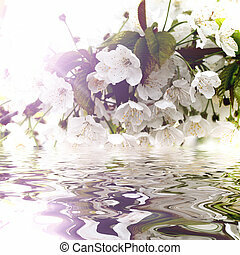 Vector background with two beautiful white callas and space for text. 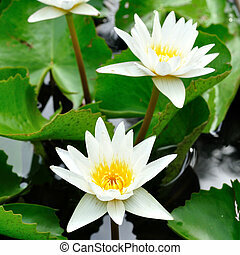 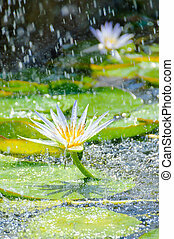 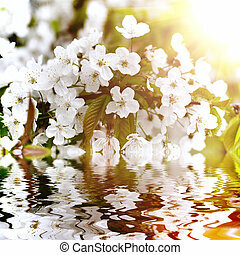 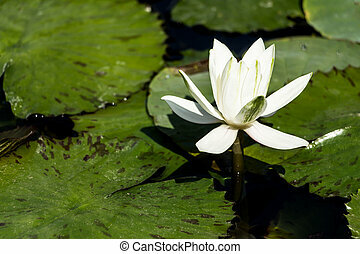 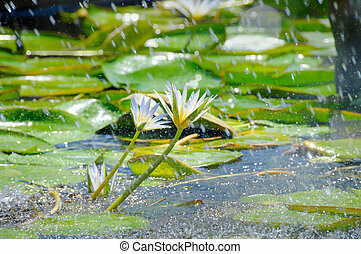 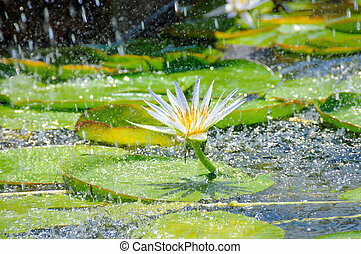 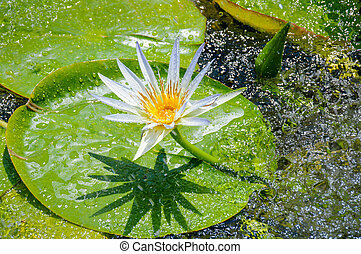 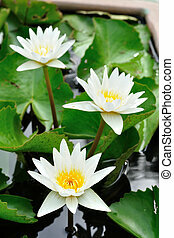 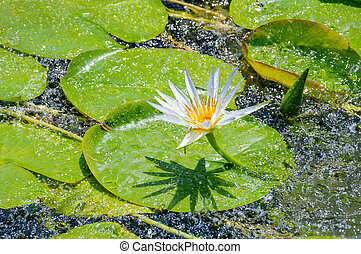 White water lily in pond. 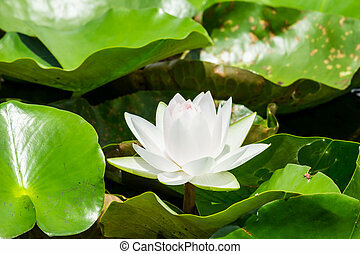 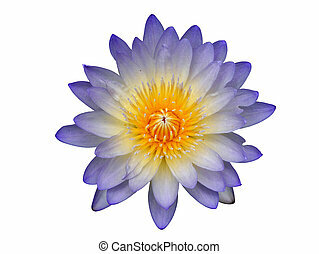 Water lily in white background.